We are Fulton County's leading farm and recreational land experts. We have the resources and capabilities to market your farm or recreational property to the local farmers and hunters and to to the local and out-of-state investors. The most recent survey from the Illinois Society of Professional Farm Managers and Rural Appraisers indicated that 70% of farm ground buyers are local farmers, while local investors make up an additional 15%! We have the local knowledge and connections to price your property appropriately, market your property to the best audience, and to sell it for the most money possible. Unlike the national land brokerages and fly-by-night "hunting and land experts" that only market your property to their private pool of clients, we enter your property into the local Multiple Listing Service (MLS), which markets your property to the over 700 local brokers operating in the Peoria Area Association of Realtors. If your property is not being entered into the local MLS, then your property is not being marketed properly. 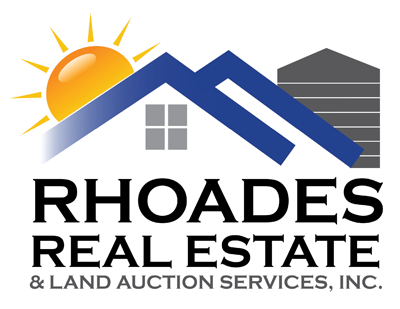 Rhoades Real Estate & Land Auction Services is a member of the National Association of Realtors, Illinois Association of Realtors, Peoria Area Association of Realtors, Peoria Area Association of Realtors Multiple Listing Service, Illinois State Auctioneers Association and a proud supporter of many local organizations and events. If you are considering selling your farm or recreational property, be sure that you're working with a broker who is active in the local Multiple Listing Service (MLS). Our farm and rec listings are advertised locally, nationally, and immediately distributed to over 700 local real estate brokers who are active in our MLS. If your broker is not active in the local MLS, then your property is not being marketed appropriately! Contact Jed Rhoades, Managing Broker, at 309-647-8811 or at www.RhoadesRealtors.com for all of your real estate and land sales needs.